Crosspoint Power & Refrigeration’s Parts Department has high-quality parts and accessories designed to keep your equipment running at peak performance and efficiency, all backed by the expertise of the staff at Crosspoint Power & Refrigeration and the rest of the Nationwide Carrier Transicold Dealer Network. 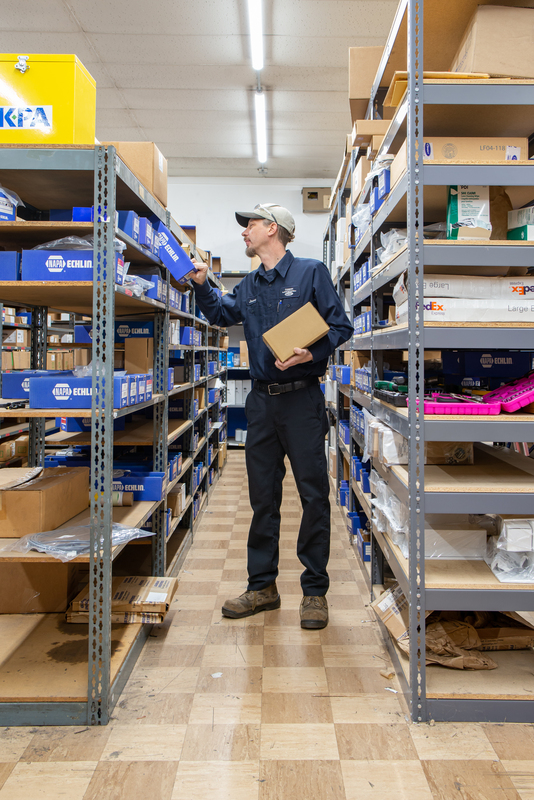 All of CP&R’s Parts departments are extensively stocked with Genuine Carrier Performance Parts, Select Line value-priced replacement parts, and 20 Series replacement parts, which build Carrier quality into your Thermo King® Truck, Trailer, and APU units. Crosspoint Power & Refrigeration has 20+ years of experience, factory-certified training and local inventory to help address most parts needs. Your cargo deserves the best possible protection. And equipment downtime is serious business. Protect your valuable cargo – and your peace of mind – with Genuine Carrier Performance Parts™. They offer you OEM quality and performance because there is no compromising on reliability or delivery. Maintain peak performance. Carrier performance parts are designed and manufactured exclusively for Carrier Transicold reefer equipment. Insist on quality. 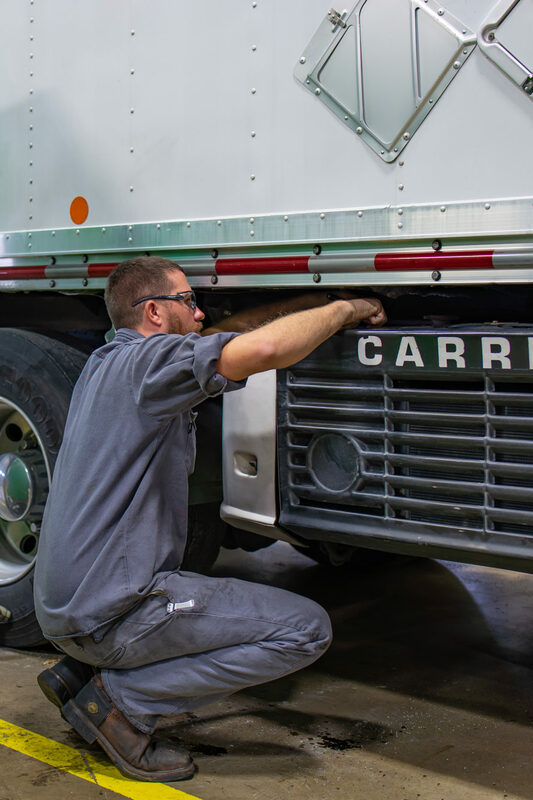 True to the name, Carrier Performance Parts are manufactured to rigid factory specifications to maintain peak unit performance and operating efficiency. Protect your investment. Genuine Carrier Performance Parts keep the value in valuable equipment. Don’t compromise your investment in Carrier systems with lesser-quality will-fit parts. Buy with confidence. Genuine Performance Parts are backed by a nationwide warranty and dealer service network with factory-trained service technicians. Buy from the experts. Crosspoint Power & Refrigeration, your local Carrier Transicold dealer, is your trusted partner for expert support. Remanufactured Compressors – Looking for a truly cost-effective alternative to a new compressor? You’ve found one in Carrier remanufactured compressors. Next Generation Clutch – Advanced-technology design for maximum clutch life. You already know the benefits of using genuine Carrier Performance Parts to service your Carrier units. That same tradition of quality, reliability, and warranty assurance also is available in an ever-expanding line of 20-Series parts for your TK™ units. All 20-Series parts are specified by transport refrigeration engineers. They are then put through field trial prior to release to ensure that fit, form and function meet OEM specifications. Carrier Transicold’s Performance Parts Group offers high-quality parts and accessories designed to keep your equipment running at peak performance and efficiency, all backed by the expertise of the staff at Crosspoint Power & Refrigeration and the largest container refrigeration service and parts network in the world. Whether you are transporting by land, rail or sea, Select Line is the global alternative to reconditioned parts. Value-priced. Designed to meet your application needs, Select Line™ parts maintain the performance of your older equipment, while reducing repair and maintenance costs. Factory-Backed. Select Line parts carry a limited warranty through Carrier’s global parts network, so you can leave the risk of locally warrantied, reconditioned components behind. Standard Options. Select Line parts are built with your requirements for quality and value in mind. Click here for more information on our Select Line. Power Plugs feature nickel-plated pins and heat-resistant materials designed for aggressive environments. Sensors offerings include the Ambient/Defrost Sensor Kit and Thermistor Temperature Sensor. Filter Drier is a low-cost option with a superior solid-core element instead of the granular desiccant that most “off-the-shelf” aftermarket driers use. Software Cards are used for uploading operating software, configuration and downloading of data. Compressors feature an older-style reversible oil pump with one-coat liquid paint that meets 500-hour salt-water requirements. Condenser Coils are designed and built by Carrier Transicold to OEM specifications and help ensure that all of your refrigeration units are running at peak efficiency – no matter their age. Need Parts or Performance Accessories? Now choose from a full line of Performance Accessories. Across North America, owner-operators and refrigerated fleets insist on Carrier when they need quality parts and expert service. Now Crosspoint Power & Refrigeration offers an expanded line of performance accessories to bring added efficiency, convenience, and security to your day-to-day operations. Return-Air Bulkhead and Chutes keep your load cool without blowing your budget. Universal Bulkheads feature a patented design that fits multiple trailer dimensions. Universal Rear Vinyl Curtain keeps air from escaping when door is open, resulting in faster recovery time and reduction in run hours of refrigeration unit, while also maintaining the temperature of food products by keeping cold air in the trailer. PowerRush Wet Cell Batteries, 700 CCA High Cycle, meet the tough cycling demands of transport refrigeration applications. PowerRush Platinum AGM Batteries are the ultimate dual-purpose battery – high cranking power and deep-cycle capability in one. Battery Separator Kit helps avoid dead batteries by preventing the lift gate and other trailer accessories from draining the reefer battery while also allowing the reefer alternator to charge the lift-gate battery. Shore Power Cable can extend to a shore power station to power your unit. Dual-View Temperature Display lets you easily verify trailer temperature on the road or in the yard. LED Light Bar can be used as a replacement for Carrier 8-light and Thermo King® light bars. Fuel Level Sensors reduce operating costs and protect cold-chain integrity, also giving you peace of mind by monitoring reefer fuel levels to prevent out-of-fuel shutdowns. Anti-Siphon Provides low cost protection for your fuel investment by offering immediate security against costly fuel theft and it’s designed to easily fit into existing fuel tanks. Carrier-brand Refrigerants are American manufactured and meet all ARI700 regulations, and are competitively priced for incredible savings. Coil Cleaners and Chemicals – a complete line for all transport refrigeration and air-conditioning units.